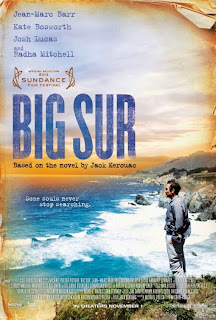 Catch the new movie Big Sur before it's released in theaters in Detroit. 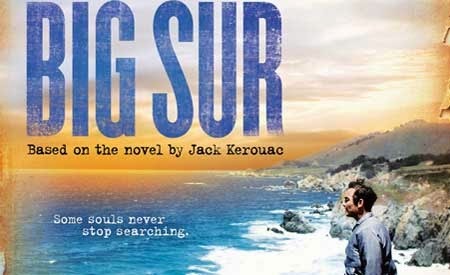 Synopsis: Based on the 1962 novel by American literary icon Jack Kerouac, BIG SUR recounts the events surrounding Kerouac's three brief sojourns to a cabin in Bixby Canyon, Big Sur, owned by Kerouac's friend and fellow Beat poet Lawrence Ferlinghetti. The story departs from Kerouac's previous fictionalized autobiographical series in that the self-inspired character is shown as a popular, published author; Kerouac's previous works are restricted to depicting Kerouac's days as a bohemian traveler. The free screening of Big Sur will take place at The Maple Theater in Bloomfield Hills, MI at 7:30pm on Tuesday, October 15th. Contest Rules: Only enter if you live in Michigan. Winners will be chosen at random and seating is on a 1st come 1st serve basis. Please arrive early, but there is no need to arrive crazy early. Winners will be notified on Monday October 14th. Enjoy the film if you win.